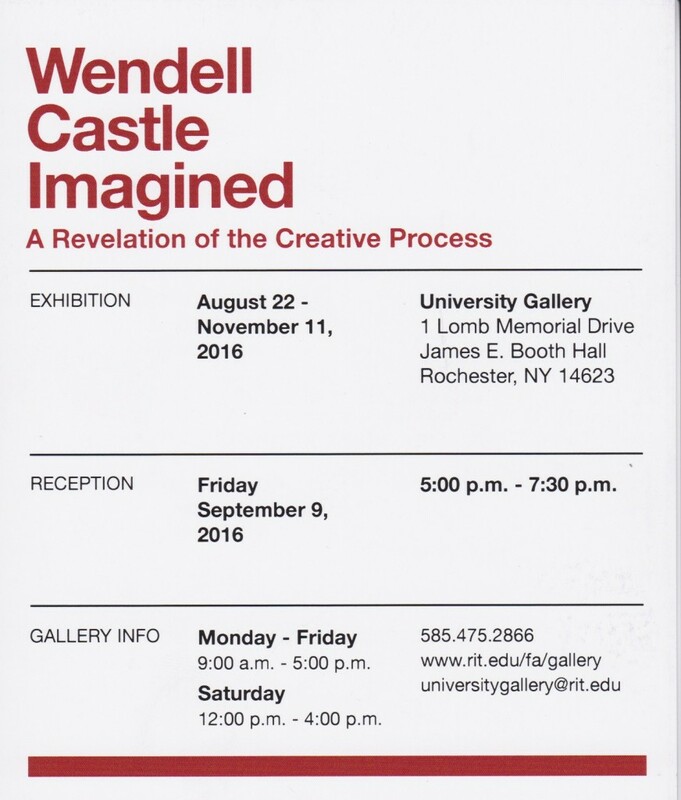 Wendell’s solo exhibition at RIT’s University Gallery is now installed through November 11th, 2016. Curated by Wendy Marks and Wendell, this exhibition is the first to focus on Wendell’s creative process from the standpoint of how he conceptualizes and creates. Works include drawings and maquettes.